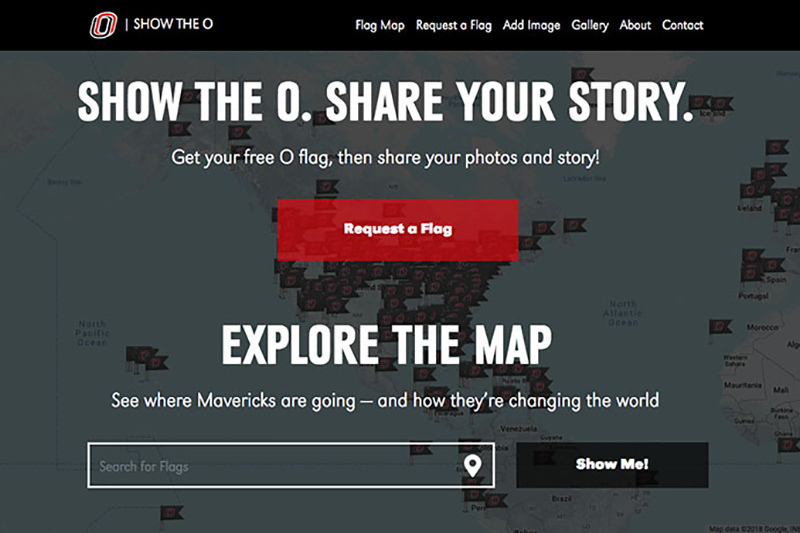 Since February 2013, 'Show the O' flags have made it to every continent and every state. Even a website can get a bit tired — especially when it hosts thousands of travelers from around the world. Given that, the UNO Alumni Association has rebooted the popular website ShowtheO.com, originally launched in February 2013 to promote what then was a new UNO brand, the “O” campus icon. The association provided “O” flags to graduates, students, faculty, staff and others to pose with during pictures taken on travels or at home. Show the O flags since have made it to every continent and every state. The website has logged more than 20,000 visits and 57,000 page views from nearly 14,000 visitors representing 129 countries. With all that travel, the association determined it was time to refresh the site and the program. A quick-loading photo gallery that contains all photos dating back to the site’s launch in 2013. To get your free “O” flag, and to check out the site updates, visit ShowtheO.com today!